The Green River Rendezvous Pageant is proudly presented by the Green River Rendezvous Pageant Association, a volunteer organization dedicated to keeping the Pageant tradition alive. It is always held on the second FULL weekend in July. Trappers charge into the Rendezvous scene. 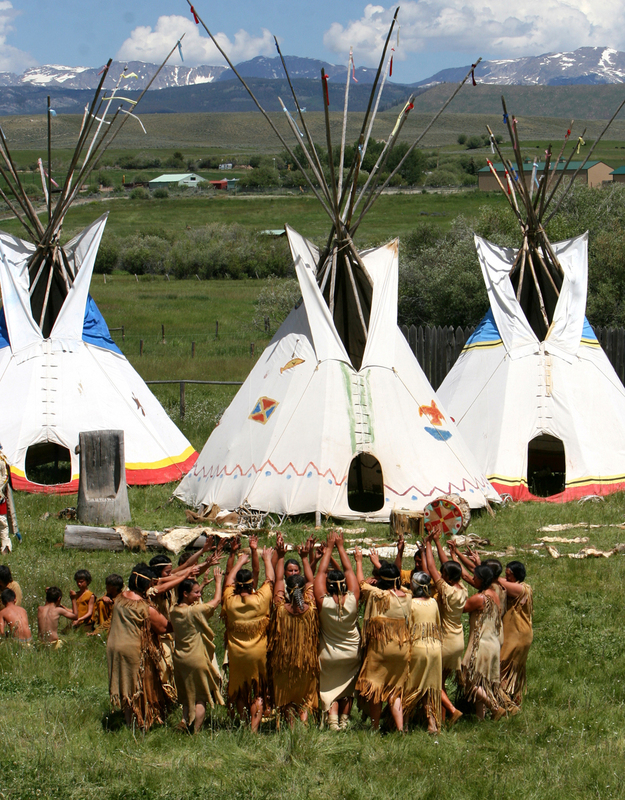 What is the Green River Rendezvous Pageant? The Pageant is a way to relive the history of the mountain man and the Rocky Mountain fur trade as it occurred in the Upper Green River Valley. The Green River Rendezvous Pageant is held every year in Pinedale on the second full weekend in July. In 2017, the Pageant will take place Sunday, July 9th at 1 p.m. at the Rendezvous grounds in Pinedale, Wyoming. 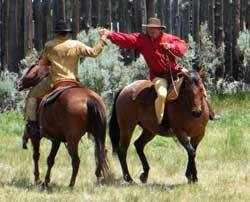 The Rendezvous grounds are located on the hill east of the rodeo grounds, just south of Pinedale off of US 191. There is plenty of parking and viewing of the program is from seating on a large set of outside bleachers. Since 1936, residents of scenic Sublette County in western Wyoming have united in July to re-enact events of the early 1800s that opened up the American West to trade and settlement. 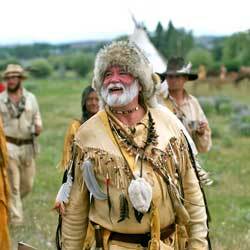 Rugged trappers and explorers like Jim Bridger, Kit Carson, Jedediah Smith and John C. Fremont carved their legends in this historic region. 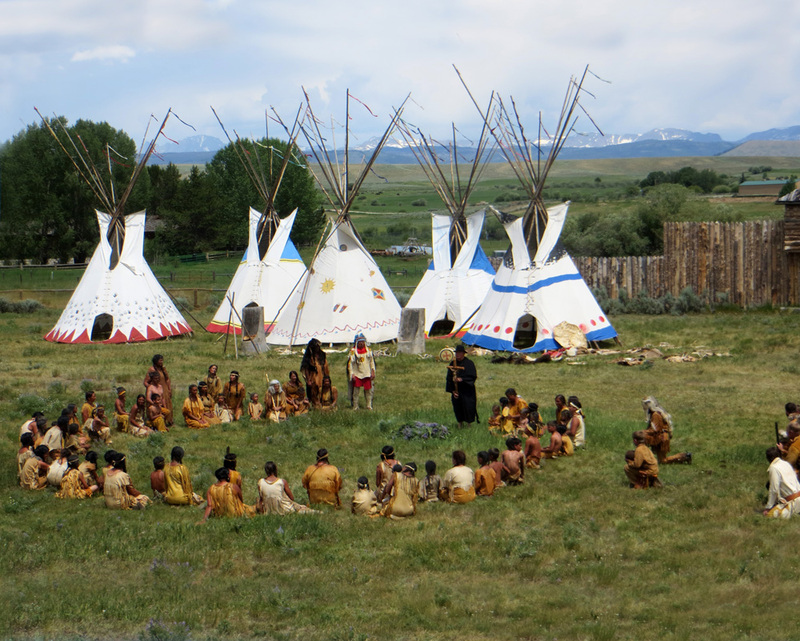 Set against the backdrop of the beautiful Wind River Mountains, Pinedale's dramatization brings together mountain men, American Indians, Father Joseph DeSmet and many others who played a pivotal role here. The Pageant is a "must see" for the entire family. 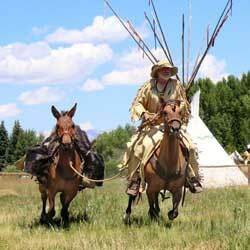 It is proudly hosted by the dedicated volunteers of the Green River Rendezvous Pageant Association, who make their own historically accurate costumes, and who produce and perform the Pageant. 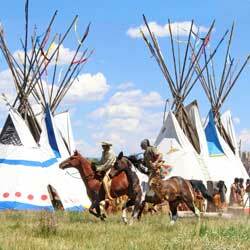 The first Green River Rendezvous in our area was held in 1833 near where the town of Daniel stands today. 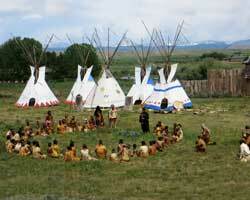 During the fur trade era of the 1820s-1840s, six of these summer gatherings were held near this locale. The cry "Meet me on the Green!" was a reminder and a reassurance to trappers, who spent isolated winters gathering beaver pelts, and to traders, who traveled many miles on hazardous trails. 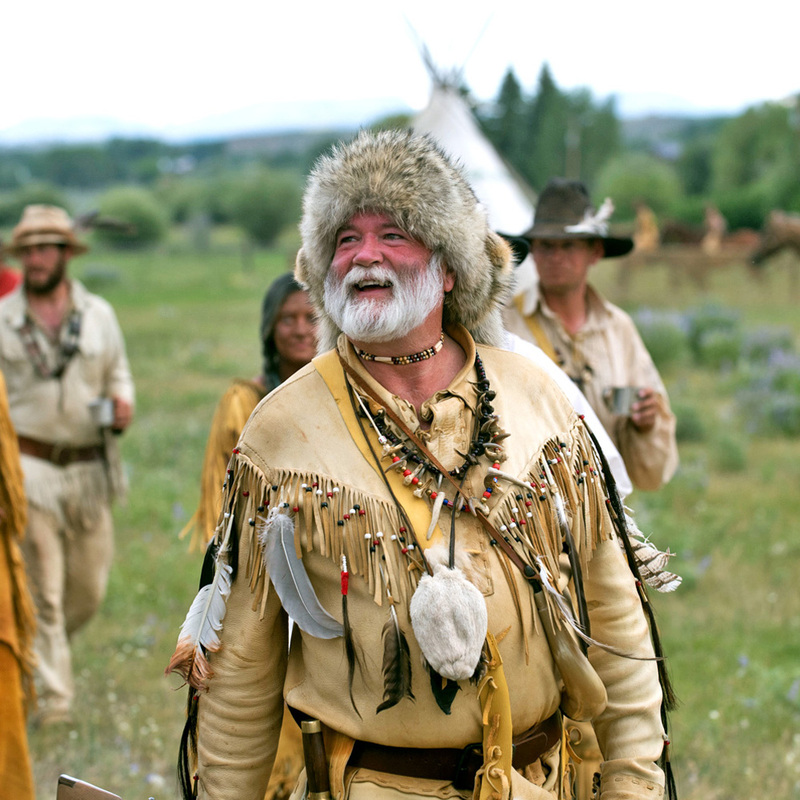 Mountain men, explorers and Indians all gathered "below the Green" to barter, sell, and swipe items such as skins, pelts, guns, trinkets and necessary provisions for the coming winter. The Rendezvous lasted anywhere from a few days to several months and was a time for trappers to cash in hard-earned furs, renew acquaintances with old friends, tell tall tales, and celebrate another year of survival with plenty of rowdy fun. What Else is There to Do in Pinedale? The Pageant is surrounded by an extended weekend of related activities. Please check the current schedules for special programs and events. Most are free; some require a small fee to participate. 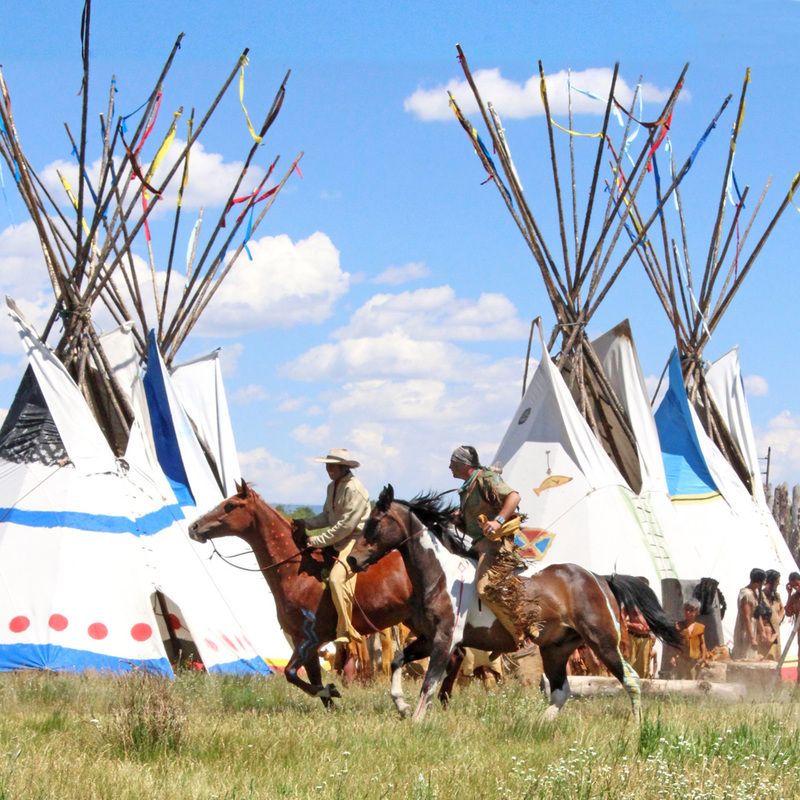 Chief's Race at Rendezvous. Early missionaries Henry and Eliza Spaulding and Narcissa and Marcus Whitman are portrayed by locals. Photos courtesy Rendezvous Pageant Association.